representation of the output power should be particularly interested. 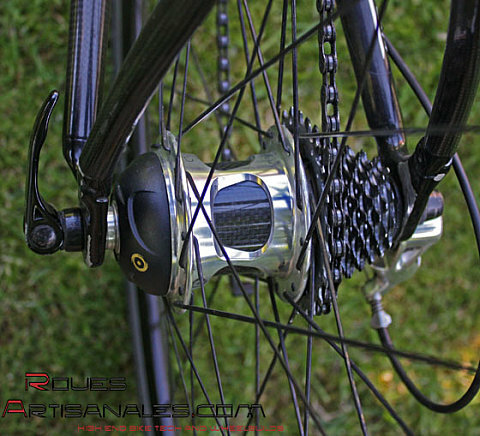 The rider creates a torque which is associated to a pedaling frequency. The torque (spinning force so it’s in N.m) multiplied by this speed (rad/s) is a power in Watts. 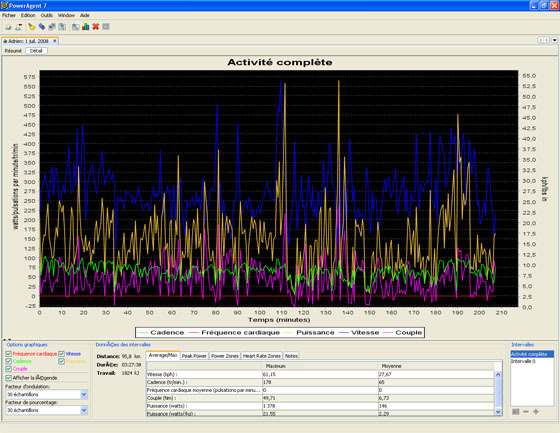 were riding at – what we estimated to be a very constant power, the power variated from 140 to 180W! The longer power display refresh smoothen the power variations. professionnal race is more or less 200km while a regional race (france) is about 90km! Warning: the powers claimed above are mentionned as example. They are not necessary fixed, a recreationnal rider can have a higher sprint power than a cyclosportive rider! and they provide the same functions. axle, it weights 576g and the transmission is assured by wires. The second model is the Powertap SL, featuring an alloy freewheel and axle: it costs 1199 euros and weights 416g. Finally, the best power sensor is the Powertap SL 2.4, it has the exact same characteristics as the SL model, but it is wireless! It is 1499 euros. power, their endurance power, as well as improving their rest. 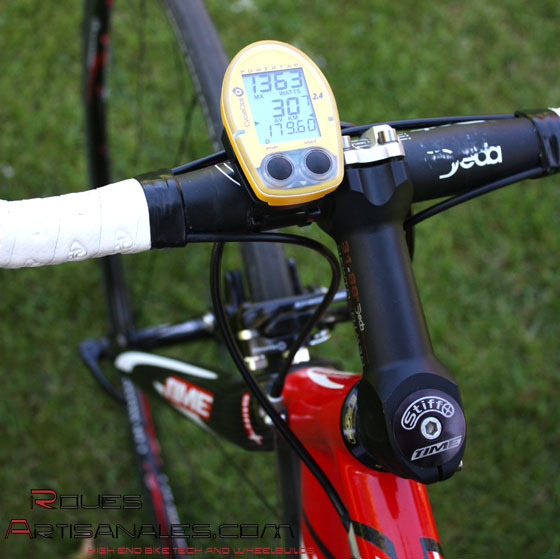 The powermeter was an excellent ride buddy too since it broke the monotony coming along with long rides. We finally decided to offer it in our roues artisanales boutique.